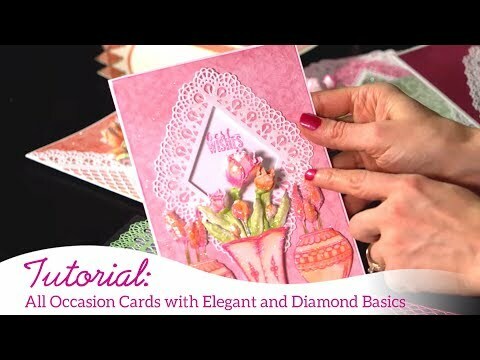 Cut one Diamond and Lace die on white cardstock and adhere it with foam tape at the centre of the card. Cut one Diamond lace die on white cardstock and distress the edges with archival ink-tiger lily and adhere it with foam tape to give some dimension. 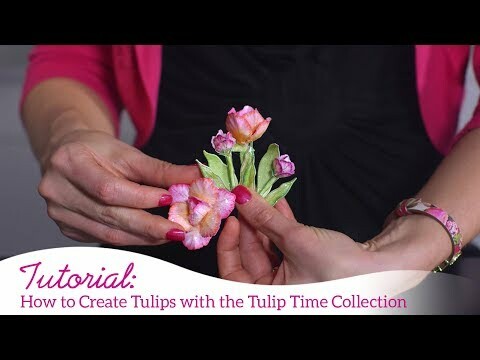 Stamp some fillers from Tulip Vase and fillers with VersaMark ink and sprinkle embossing powder-gold and heat with Heat It Tool and cut these stamps with coordinating die. Arrange these flowers and leaves as shown. Cut one tag from Ornamental Tags Die set and add sentiment from paper collection as shown.